Looking for fantasy books? Biblio.co.nz hosts hundreds of of the finest online book stores and booksellers, including specialists in fantasy. Use the list below to locate a specific specialist bookseller or book store near you. Or, use the form below to search the inventory of all booksellers who specialize in fantasy. Selling online since May, 1999, Arcadia Books is a supplier of new and used books and games of all kinds. Although specializing in science fiction, fantasy and role-playing books and accessories, we have a little bit of everything. We know there are many choices for shopping online and hope to earn your business through our quick shipping, competitive prices and quality merchandise. New, Used and Collectible books. We are an online bookstore located in the Ozarks, the foothills of Missouri.My sister Valerie, her son Little David, and I have decided to overhaul the online bookstore and sell interesting children's books, science fiction and fantasy books, and collectible paperbacks. We hope readers here will meet new books, becoming fast friends. We also hope readers here will meet old friends, fondly remembered books from their past. We are a small independent, carbon neutral bookroom located in Campbell River, BC. Open to the public by appointment, we specialize in Horror, Science Fiction, Fantasy & Weird Fiction. Throw in some Occult options and we think we've got a nice assortment, but by all means have a look for yourself. Need more info or a scan, just let us know.�If you are a local or are visiting the Campbell River area, you can always pick your book up in person...at an agreed upon time, please. We also feature Free Local Delivery! 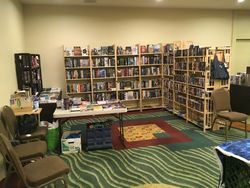 Located in San Francisco, Borderlands is one of the largest Science Fiction, Fantasy, Supernatural and Mystery specialty bookstores in the country. We carry new and used books, magazines, and British imports. We will special order almost anything. Our cheerful and knowledgeable staff will be happy to help you find the book you are looking for. We have been selling online for over 10 years. 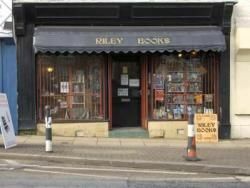 We sell a wide variety of books, with special interest in academic books and fantasy/science fiction. 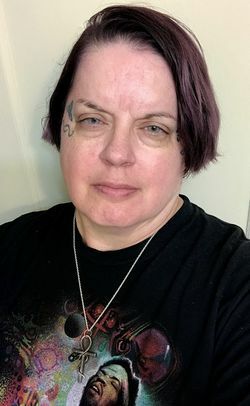 I specialize in science fiction, fantasy, and horror, but I also have mysteries, thrillers and some mainstream fiction as well. Many of my books are limited editions, many of my trade editions are signed. I have been a mail-order bookseller since 1982. You can find out about my latest doings on my weblog at http://cdrumm.blogspot.com. Specializes in cooking, along with scifi and a smattering of other genres. located in northern idaho. we offer free media mail shipping to any location in the states. I sell hardcover and paperback books primarily in the genres of fantasy, horror and science fiction. 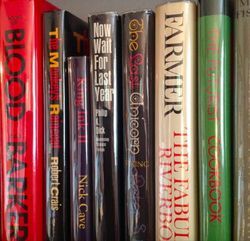 In hardcovers I specialize in small press, signed and limited editions.I have been a collector for over 50 years. 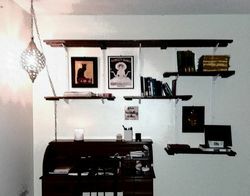 I picture all of my items and describe anything that cannot be seen from the pics. I never use stock photos; all pics are the actual item. I securely pack and ship in boxes, never mailers. Mail order and internet business only. Established 1993. Selling online since 1998. Catalogues issued regularly in specialist subject areas (Horror, Fantasy, SF, Crime fiction, Weird Non-Fiction and True Crime). E-mail if you would like to receive a copy of the latest list. We specialize in science fiction, fantasy and horror. However, we do offer a wide range of books spanning most genres. That's the etc. part. Quality varies from highly collectable signed first editions down to just plain reading material. Monkey Books specializes in first edition mystery, crime, thriller, science fiction, fantasy,military and naval fiction. Since we began selling books online in 1997 our focus has been on providing quality customer service. All of our books are securely packaged and shipped in a box. I have been selling used and rare books internationally since 1985.I tend to list modern fiction because that is what i know the most about.I specialize on horror and suspense fiction because these are two areas that i enjoy most and because they are two areas that I know the most aboutI am not a generalist dealer but I have been known to list a small percentage of anything that looks interesting to me, fiction and non-fiction, to bring new customers to my site. Online retailer specializing in collectible Sci-Fi and Fantasy books. Roses Are Read has a wide variety of fiction and non-fiction books for sale. I specialize in History, Science Fiction, Fantasy and Mystery but have a variety of books. I attended the Colorado Antiquarian Book Seminar in 2008 and I am a member of IOBA. Specializing in Early 20th Century Firsts,Children's Illustrated,Women's Studies, Texana,Texas Authors,Religion, and Women's Studies. We also carry out-of-print religious pamphlets along with a few Sci-Fi, Fantasy, and Vintage Western Paperbacks. That Used Bookstore is a family owned and operated company. We have been selling books since 2000, and hope to continue well into the next generation. We appreciate your business! … scouring the time continuum from the Singularity to the Big Bang for printed artifacts. Specializing in Science Fiction, Fantasy, Mystery and Literature. We have a nice collection of science fiction and fantasy paperbacks and some hardback books, along with some metaphysical, self-help, and other miscellaneous books. Tristan Books offers modern first editions of Fantasy, Science Fiction, Horror, Literature, and Children s, some signed limited editions and small press books as well as a few antiquarian books printed circa 1540-1900. Long term collector, thirty-year veteran of storefront operations, now selling for himself on the internet. Specializing in science fiction, fantasy, and mystery, with a few oddities that don't fall in that area. Specialising in providing some of the very best Fantasy Fiction from around the world. Here you'll find both rare, out of print books from the likes of Michael Moorcock as well as books from more mainstream authors such as Robert Jordan, David Eddings and Robin Hobb. Specializing in history, sf/fantasy, RPG's, and childrens' books; we buy collections! Specializing in science fiction, fantasy, horror, small press and fine first editions.